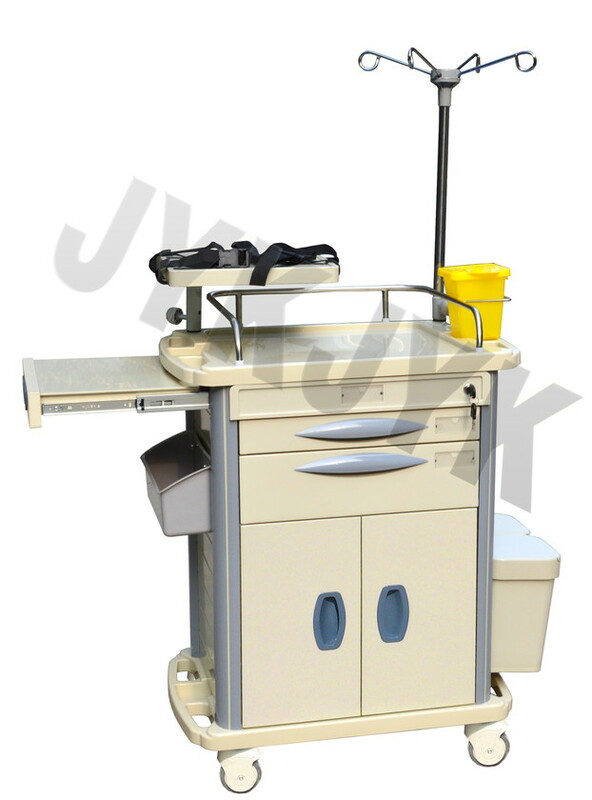 Top: One-piece ABS plastic top board with arc handle and raised-edge design, covered transparent soft plastic glass, 304# degree stainless steel guard rail, IV Pole with four hooks, coated steel tray for defibrillator, sliding side board. Contact us if you need more details on Emergency Trolley. 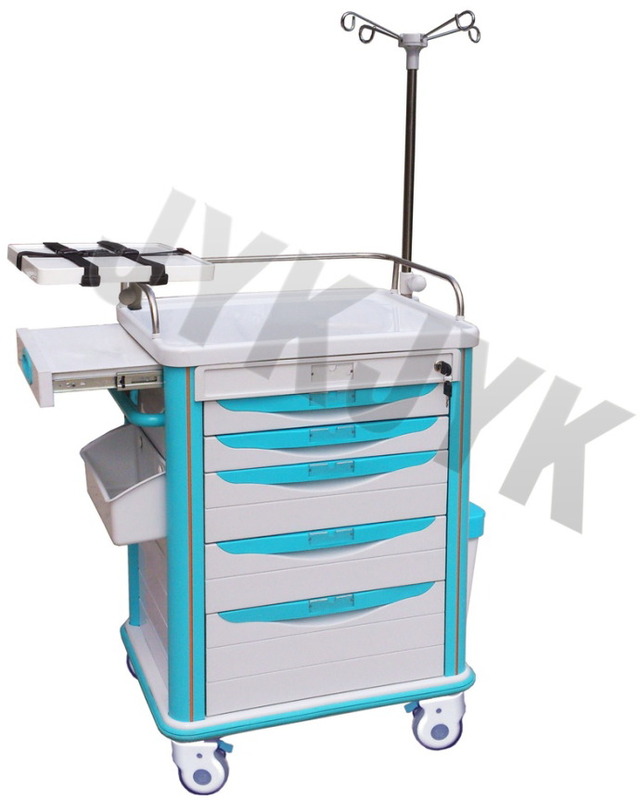 We are ready to answer your questions on packaging, logistics, certification or any Other aspects about Medical Equipment、Medicine Trolley. If these products fail to match your need, please contact us and we would like to provide relevant information.